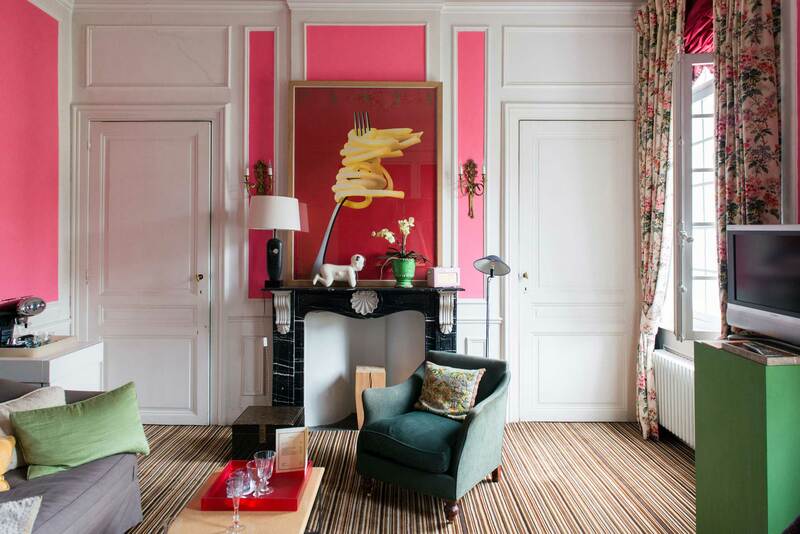 A very daring fushia pink in a white paneling and a sixties poster of pasta set the tone for this special suite. 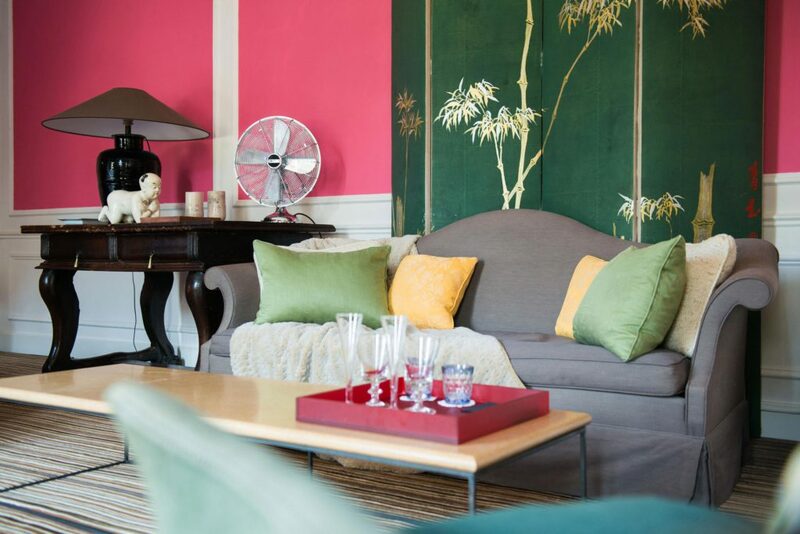 Notwithstanding, you’ll indulge in the peace and quiet of the surrounding inner garden. 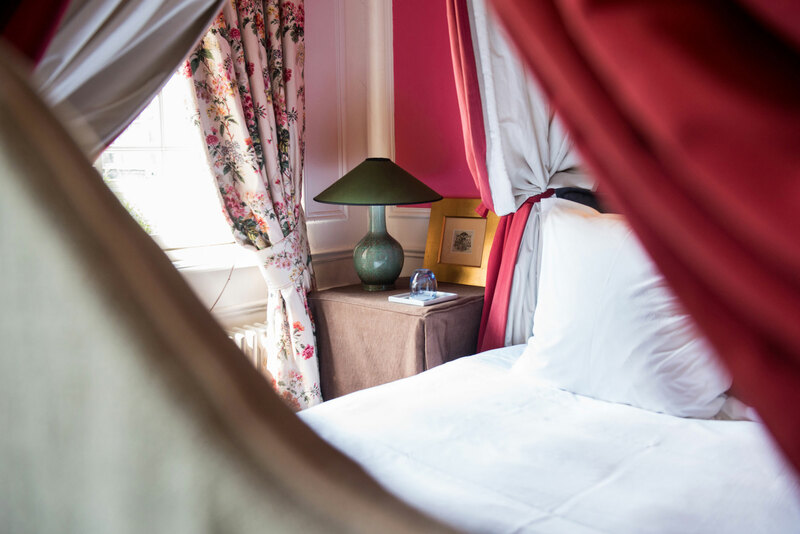 Furthermore, a nicegreen daybed for reading and a romantic four-poster bed.